Fat Daddio's professional pie pans are anodized for safety and performance. 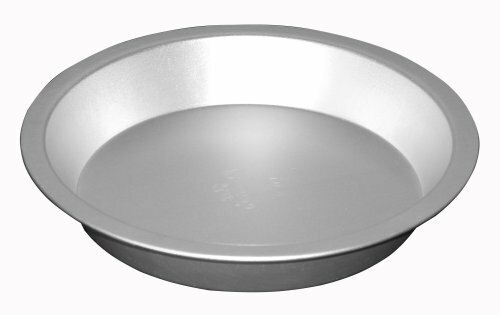 18-gauge, seamless pie pans with no extra metals, welds, or chemical coatings. Safe for citrus based fruits, sauces, and foods. Non-reactive anodized finish will not rust, peel, chip, or flake. Fat Daddio's pie pans heat faster and cool quicker allowing your recipes to turn out the way they should. Easy release and clean up. If you have any questions about this product by Fat Daddios, contact us by completing and submitting the form below. If you are looking for a specif part number, please include it with your message.